Change Your Oil. Change Your World. 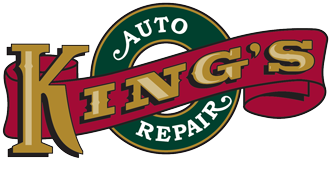 King's Auto Repair > blog > maintenance > Change Your Oil. Change Your World. Hello everyone. Today I am writing about the most basic of all automotive maintenance items OIL CHANGES. Engine oil is the main life blood of your car and today’s engines are demanding a lot from it. Engine oils main purpose is to lubricate the moving parts inside the engine. In doing this job it also provides a few other functions such as cooling and carrying dirt to the oil filter. Oil is an amber color when it is put into the engine. Used engine oil is very dark because it is full of incompletely burnt fuel particles that accumulate from the combustion process. Unburned fuel also known as soot can cause accelerated wear and oil burning issues caused by the sealing rings sticking on the piston. Once the piston rings start to stick, soot build up becomes accelerated because the exhaust gasses get past the pistons at a higher rate than normal. Most manufactures now recommend full synthetic oils to combat this issue and help with extended oil change intervals. We at King’s Auto Repair recommend changing your oil every 5,000 miles for maximum protection from oil burning issues and accelerated engine wear. Too often we have cars in here that have followed the manufactures recommendation of 7,500, 10,000 or 15,000 mile oil change intervals and the engine is totally shot once it is out of warranty. If you want to lower your risk of having engine problems change your oil more often. It’s cheaper than a new engine.